What better Christmas present than giving something from The Church of Jesus Christ of Latter-day Saints? 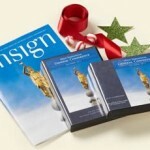 As you consider Christmas gifts this year, think about some of these items available at Church distribution centers or online at store.lds.org. 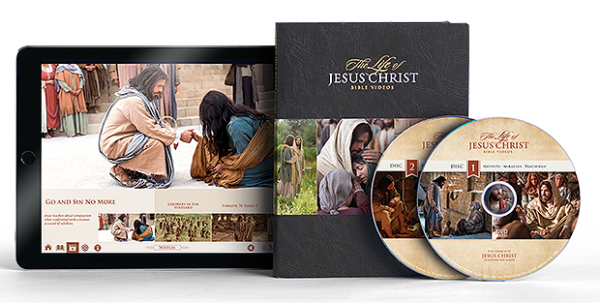 The Life of Jesus Christ Bible Videos about the Savior’s life and teachings from the four Gospels. This set of DVDs includes all 100 videos, plus the 10 Children’s Bible stories. Get it for only $5.00. Learn more about this DVD. Church magazines. Give a gift subscription to the magazines to a family member, college student, or neighbor. You can also subscribe to have the conference Ensign, conference DVDs, or conference CDs sent to a loved one automatically every conference. A new set of LDS scriptures, available in various sizes, colors, and bindings. Also consider the handy pocket-sized Book of Mormon, Old Testament, New Testament, Book of Mormon, Doctrine and Covenants, and Pearl of Great Price. Special issue of the Ensign and the Liahona magazine that is focused entirely on the Lord Jesus Christ. You can order a copy to give to a friend. There is also a special issue about Latter-day Saint temples. Mormon Tabernacle Choir CDs or DVDs. Gospel Art. Learn more about high-quality printed and digital pictures from the Church. These are just a few of the great items you can find at store.lds.org. See more Christmas items.